Can you make that double Skinny decaf to go! No wait…add a solo soy full leaded to drink in and partner with a wet whipped latte! Confusing isn’t it?…well actually not for us it isn’t. You see we pick up the highly versatile used coffee grounds that are so wantonly discarded and make our coffee infused concoction! 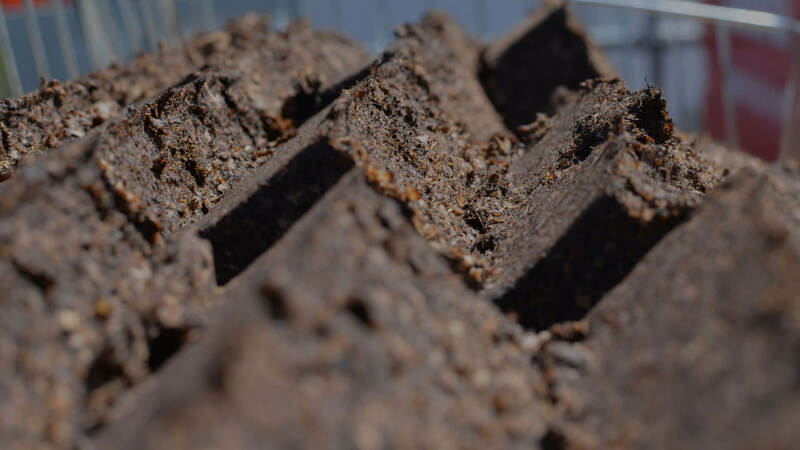 We regularly collect used coffee grounds from Starbucks, Canvas Coffee, Lou Lou’s, garage lounge and many more coffee outlets and we transport back to our Portsmouth based warehouse and create magic with this incredibly rich wasted resource. Up to 20% of used coffee contains oils. The average burn time is higher than wood. Coffee is denser than most softwoods and some hardwoods. It smells great when it’s cooking on the BBQ! Our research shows that when mixed with the right ingredient used coffee is a plentiful, renewable, sustainably perfectly green alternative to coal charcoal and even wood. It’s a super fuel that will burn on your BBQ as well as in your stove or open fire on a cold winter’s night. It’s the gift that keeps on giving. Drink your coffee and enjoy its usage long after the cup is empty. The Recycled Assets Company – your innovative recycling partner. Coffee as fuel- And the right ingredient is? Can this be done at home? Yes coffee is a super-fuel both for human consumption and in terms of it’s properties. There is a lot of research out there to support used coffee as a biomass fuel. Happy researching! Keith Mantell on Starbucks anyone?